I read on this forum, lots of rules changes to this game we all loved and enjoyed for many years. Suggestions, (even to heated arguments) over things like: Weapons, “+” or “-“ Strength or Damage, Armor Ratings, Ranged Weapons “+” or “-“ Strength, Damage, or Range. So many different ideas to change our Beloved Mordheim, to suit each groups playing style. After everybody makes their changes to fit their styles, wants, and needs, what will we have left? It’ll be a Game we can’t discuss any longer because everybody plays it different. It would become like Solitaire for Cards. There’s over 200 different ways the play it. And everybody has a different way to play it. Do we want this for our Mordhiem? Or do we want a uniformed Game with the Same Rules? How can we compare my Skaven Warband to yours, if we all play by different rules? For example, Warhammer 40k, they play by the same rules. I could travel to another state with my Space Marines and play at a store and not have to compare rule styles before Game Time. This is what we should have for Mordheim. We have the Core Rules Book, and the Erratas for explanation of those rules. With those Core Rules we can play anywhere in what ever terrain we chose to. Imagine playing your Witch Hunters in modern day ruins, or futuristic ruins. Why Not? The rules would be the same. The terrain would be the only thing different from table to table. Why couldn’t a Computer Server Tower provide the same cover as an old Wooden Barrel? Cover is cover, and the rules for cover are established. I should be able to go and meet Da Bank and/or Gobbo Freak in whatever cities they live in and have a Battle with whatever experienced Warbands we have and enjoy and the Game, without having to make brand new warbands and discuss the different rules be which we play. Could you imagine a major sporting where the two teams play different rules, Different sized Goal areas, or even a different point system? Can I get an “Agreed”? We should be spending more time discussing Homemade Scenarios, Terrain options, New Hired Swords and Dramatis Personas, and even Homemade Warband ideas for balance and playability. I could even see ideas, like in Town Cryer, for skill options, or new equipment. Maybe, a Moderator, or the like, could do something like Town Cryer, or Letters to the Damned again. Lots of us have suggestions that could be pulled right off this Forum and Specialist Games Forums.  This way we can download a nice and neat layout for new Warbands, Stories, Scenarios, New Equipment, and/or Terrain and Modeling Ideas. I’ll get down off my Soap-Box now, and read how some of you will slam me for not wanting the Game to change and mutate into a Chaos Spawn. I think a lot of the people on here don't play with each other. Since Mordheim is essentially a dead game and was left very unbalanced its up us to try to balance it. I think its a lot more fun to play a balanced game, and a lot of the forum members here agree. You don't have to change the game at all if you don't want but for some people changing the game is the only way to keep it going. I'am sorry but i cant agree. sure it would be lovely to have an general ruleset everybody could play and compare his warbands. But that wouldnt be the mordheim i know. Gaming groups are idividual, and some want to play simplyfied rules, some like to ad more detail and add even more complex rules. Additional to that the Basic rule set is far from balance, as having a little powergamer in my soul i would always hesitate in playstyle dessicions. Is it fluffy to play swarms of skaven with dualwield daggers and slings or just plain powergaming? and i would alsways watch out for other powergamers not to frustrate other and steal mordheims fun factor. I need balaced rules supporting diversity and fun, and that needs some modifiacations at rules. Naturaly not everbody gaminggroup agrees on the same modifications, so diffrent rulesets seem quite natural to me. Also its little use to play old experianced Warbands against new oponents, not mutch of a challange beating my little sister 5 times to level up my warband to battle anybody else with those ubber band. U would never go that way? Then there is no problem, take ur warband and play them is a slightly diffrent ruleset(maybee just basic rules from corebook) against new opponents. 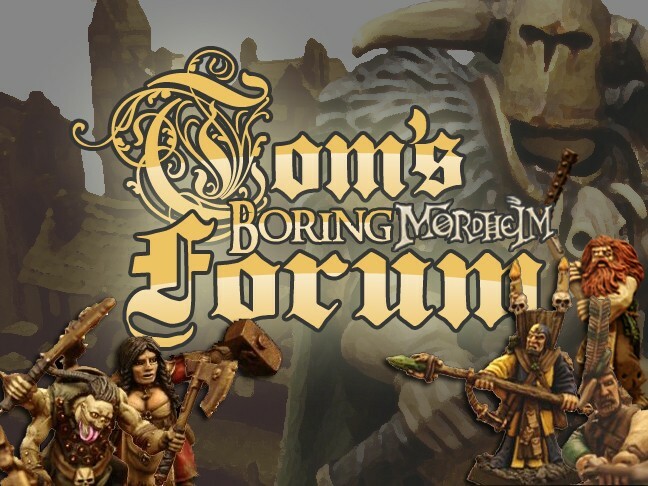 For me its great to have a comunity like this forums folk to disscuss rules and get ideas how to improve my groups ruleset just as to get new inspirations on moddels paintings new warbands abd terrain. Seconded. And even not mentionig balance, the rules are so vague in general, that you cannot make it without house rules, unless you want to solve heaps of unclear situations during gaming all the way. You can't really compare Mordheim to 40k – first of, 40k has been updated many times through the last years, Mordheim hasn't. Secondly, there are no huge Mordheim competitions, which would require a standard set of rules. I think it's fun, and interesting that you can apply different changes, within your gaming group to make Mordheim more enjoyable and balanced. The rules are really crude in some cases! Though, I think it's good that you bring the subject up, it's easy to just go along in brutal rule-changing-spree, and it could be quite sane to reflect over the whole impact of changes. Oh, and new Warbands for balance? Since when are fan-based warbands balanced? Personally, I think you are seeing things way too strict. I believe it's great that every group has it's own house rules etc., fixing the balance issues that come up and adapting the game to the particular interests and the playing style of the group. For me, this flexibility of the game is a very important aspect. When it comes to playing against new opponents, all these house rules don't really matter that much, as you can still start with the original core rules and agree upon some common house rules or make them up as you go along. I've been to 2 of the Boring Mordheim Meetings, and never experienced any issues concerning the rules. We just made a small collection of house rules we would like to use and mutually settled matters when players were subconsciously integrating other rules they usually used. Thus, it's not like all of us playing a different game, but enhancing the game and personalizing it, without actually losing its original character, and without being able to play with new opponets that are used to other house rules or to no alterations at all. I think most Mordheim groups are fairly self-contained. That is, mainly it is the same group of friends playing. As such, "rules drift" -changes to rules & additional house rules - is fairly natural. I am fairly conservative with Mordheim, and have not made a large number of changes. Others like tinkering more, or have a style of play that benefits from some modifications. I enjoy reading these ideas when posted here an on other forums, even when I don't embrace them myself. Mordheim is a fairly basic ruleset - not extremely complicated. As such, for people who play a lot embellishing the rules can enhance their enjoyment by keeping the game fresh. Let me be the first to agree on everything! It's a good game, clairify a lot of the rules OK, but otherwise leave the rules alone. I started playing 40K in 2nd ed. When they changed the rules in 3rd ed. the end result was a totaly new game, it just shared the same name. Completely ruined 40K for me. Let's not do that with Mordheim!!! If you want a new set of game rules...make a new game, but don't call it Mordheim. If you like the game the way it is, play it the way it is. Personally, seeing everyone and their mother dual-wielding, and no one using armour and shields is a far cry from what I envision the Warhammer world to be like. I imagine if I hired someone to walk into a doomed city with me, they would probably bring some kind of protection that was more substantial than some lucky trinket and a rabbit's foot. A LOT more protection I should think. And your average mercenary would probably find swinging two swords around a good way to earn a self-inflicted wound. Because some of us find that a fun part of the hobby, tweaking and perfecting (to our minds) and such love to discuss what others feel about a mechanic, how to improve and whats been done before ... no one will come around to your house and threaten to break your kneecaps if you don't play by 'their' rules ... and I for one, am rather happy GW doesn't do that because we don't stick to the core rules of a long unsupported game. I actually agree with you. At least to an extent. The core of the game should BEGIN with being intact. For example, whenever I create rules for a new warband, I do it by the basics, what with all the costs and special rules available. This is because I, as you say, do not want to make a new game. All the other things, hosue rules, changing of rules or balancing issues corrected, should not be concidered being replacements of the old rules, but rather additions, or add-ons, which you can CHOOSE to add or not whenever you play. That way, you catually could come here to sweden, play a game with me according to the rules and spirit of the core game. Though, we COULD, if we wanted to, add some rules like "Cheaper armour" or "Dual-wieldning penalties" if we think that would help. However, I do not think these changes should ever be integrated into the rule system, so players create rules for warband using their own houserules. For example, a warband that has armour being cheaper in their Equipment List to make the Cheaper Armour add-on from above be default for this warband. Making new rules, player made ones and balancing ones, become default for everything we create from here on, would be very sad, cause then we would have 1000 players with 1000 different games. So you see, I do agree with you, but I think the fact we change and modify the game is a GOOD thing, as long as we always make it clear "These are add-ons you can choose to use, but you can use the core rules just as well", giving the core rules a stable ground despite being left unfinished. There is one thing I never understood: Many people keep mentioning how GOOD it is that Mordheim can be changed. Erm... what?! ANY game can be changed to whatever extent you want to. The fact that you feel that you HAVE to change it to work for you is NOT a good thing, is it? Sorry, but I never got that enthusiasm. "If you want a new set of game rules...make a new game, but don't call it Mordheim." let everyone do what he likes... if you like to play core rules, so play it and don't bother reading those topics about rules mods. Ther's nothing easier imo. Because the rules, while a good start, are incomplete at best. I'm fairly new to Mordheim, and having played a lot of Blood Bowl and participated in the LRB process with that game, I was surprised to see how little was changed in the Mordheim LRB. Mordheim at it's core has great rules, but equipment and a few other bits are really out of balance. Is there any reason why there isn't changes to these? Because Andy Hall, chief of Specialist Games, deems the rules sufficiently stable. Fair enough. That's a pity, since you could balance a lot with relatively few changes. I like the baserules as they are, but I'm a fluff player, so I don't really care about balance that much, nor about powerplayers (we don't have them in our group, so no problems there) that said, I love house rules as well.. not too much per game, but a few to enhance the game to your personal flavour and setting. As Eli said, at the meetings we've been to, there was no problem with combining houserules but still staying in line with the original game. the core rules are still the same, but it adds a bit of flavour. As long as you don't face powergamers, you don't really need to change a lot of the rules. Generally speaking, I like the book rules. Now I *do* agree with a lot of what other people have said to the contrary, but I have always just chalked up the unbalanced rules to the vagueries of battle/life/thrice damned warpstone. Well, as long as the modifications are in line with the problems in the rulebook, that is, stuff that is clearly overlooked, then by all means go for it. But to say you can "do whatever you want with it" sounds a little... strange. That means we get ppl who play Mordheim with Dragon Warbands, wielding magic swords, or Assassin Warbands (yeah, I have spotted one), which have no business whatsoever in the original setting. Though, if you make up rules to balance some rational issues, I am all for change. Meh, it's like Jazz. You learn the rules, understand the rules, then do whatever you want. It's your game after all. I wouldn't say that it's THAT incomplete - not any less complete than a loaf of bread. Sure, it isn't perfect, but it is "edible" as is. Still, it really just isn't the same without a little butter... or jelly... or honey... or the blood of innocents... or whatever you like on your bread. You've got the bread, what, if anything, would you like to put on it?